What's New in Nine v4.0 ! Our latest release introduces some important new features and improvements. For instance, Gmail, IMAP, Tablet View (Samsung DeX), Entrust Smart Credential and Shared/Public Calendar. Unlike many competitive products Nine supports more features. Nine is getting better and will support more features. Nine has the largest set of features available for FREE download on Google play! Enjoy full and unrestricted functionality for a trial period of 2 weeks. Once you have tried Nine, we are confident that you won’t want to access Exchange email on your phone in any other way. 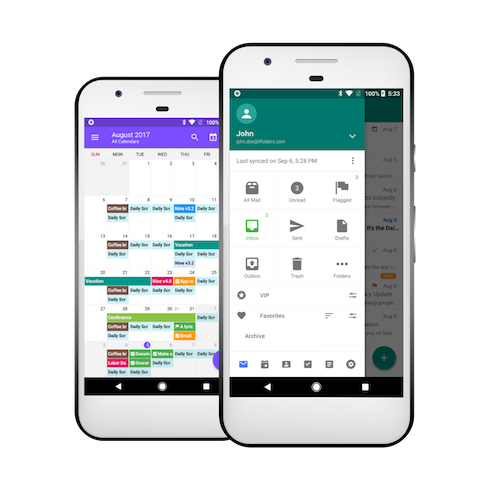 Nine is designed for corporate-employees and individuals who are looking for the most efficient way to stay in contact with their work colleagues, friends, ‎and family at anytime, anywhere. 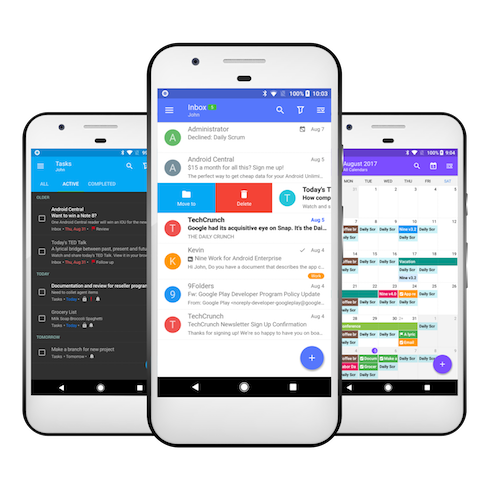 Enjoy Email, Contacts, Calendar, Tasks and Notes on all your mobile devices, wirelessly connected for fast and trouble-free communications. Nine is so easy to use we doubt that you will ever need instructions. Controls and gestures are intuitive and operations are handled automatically in the background without the need for user intervention. However, manual controls and settings are available in case the need arises. Welcome to Nine Exchange ActiveSync Client. 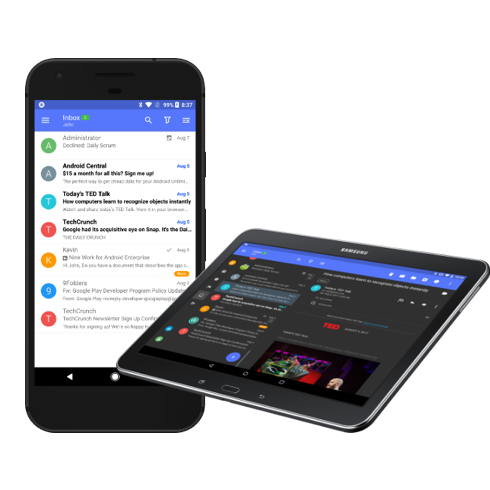 Nine provides your Android devices with a wirelessly synchronized, encrypted connection to your company servers or email hosting services, so you can instantly access up-to-date Emails, Calendar, Contacts, Tasks and Notes when away from your desk. 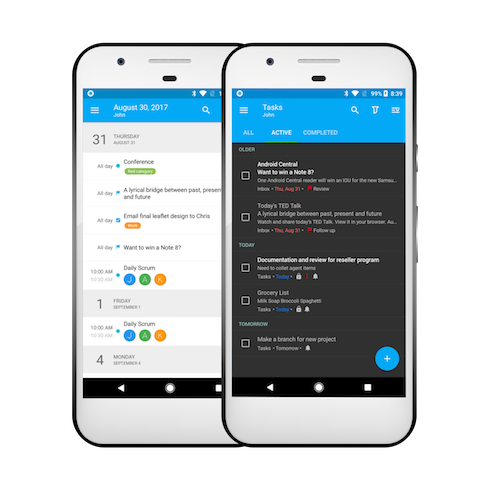 Try to use Nine after select any of your devices and OS you can use, this trial version can be available for only 2 weeks completely without any limitation. If you are satisfied it with your work after enough time using the free trial, Purchase Nine.